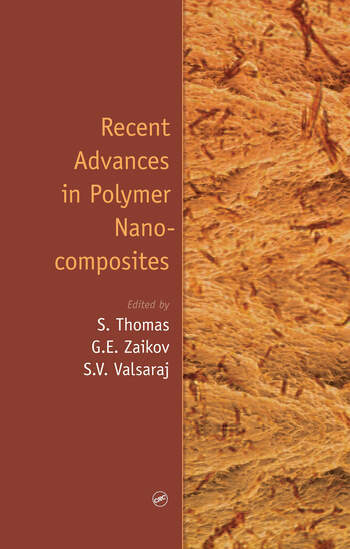 Sabu Thomas Ph.D. (1987) in Polymer Engineering, Indian Institute of Technology, Kharagpur, is Professor of Polymer Science & Engineering, Mahatma Gandhi University, Kerala, India. Prof. Thomas has (co-)authored more than 300 papers in international peer-reviewed journals and has been involved in a number of books, both as author and editor. Gennady E. Zaikov, N.M. Emanuel Institute of Biochemical Physics of Russian Academy of Sciences, Moscow, Russia S.V. Valsaraj, Mahatma Gandhi University, Kerala, India.